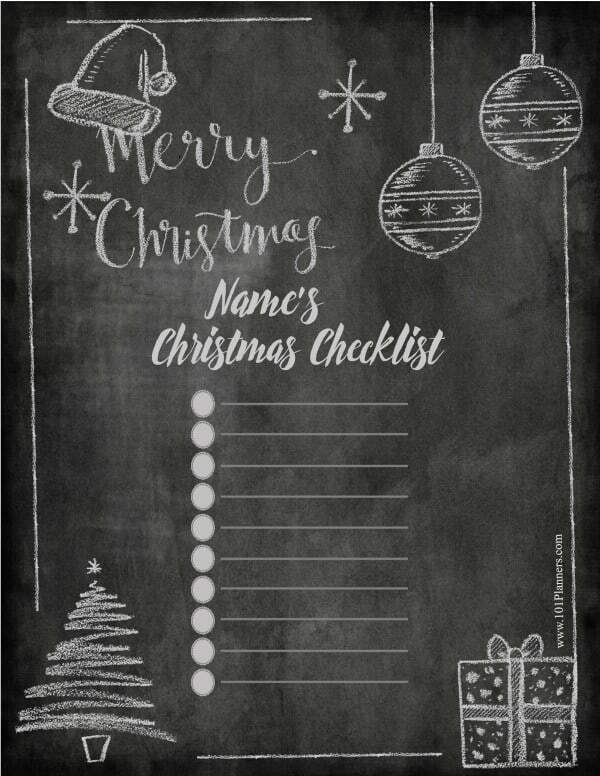 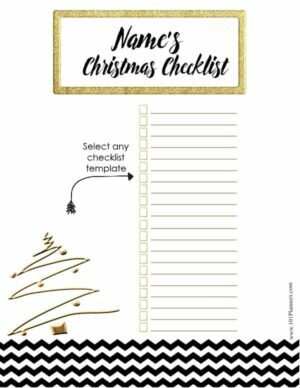 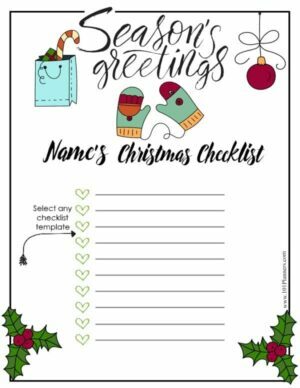 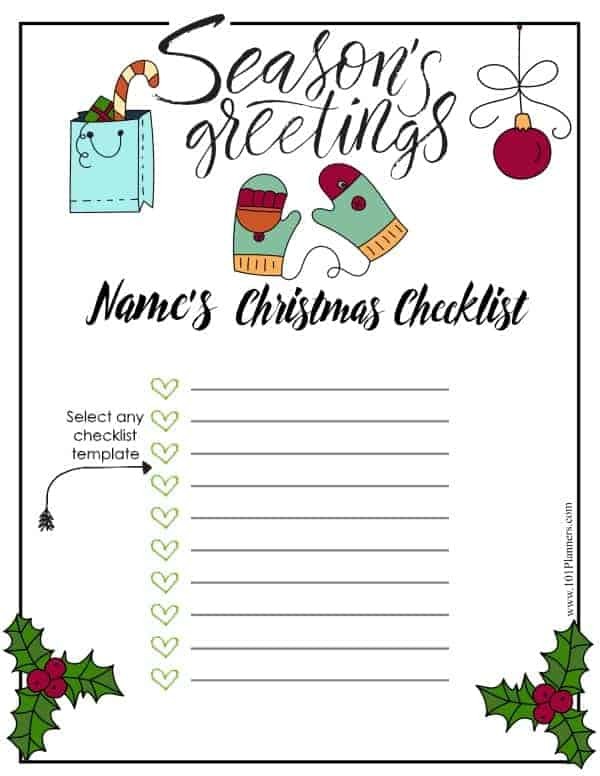 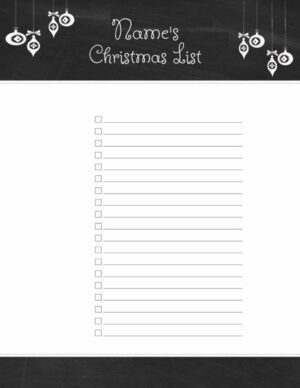 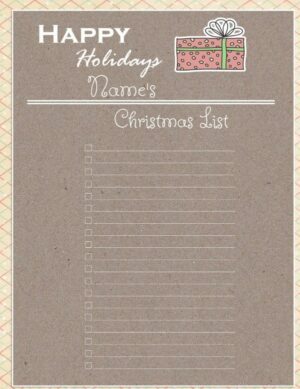 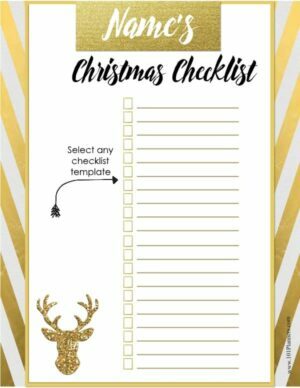 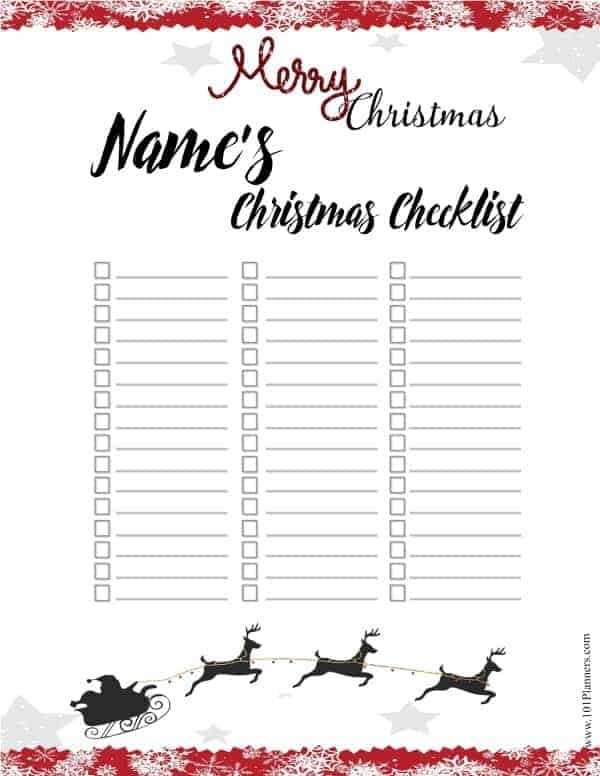 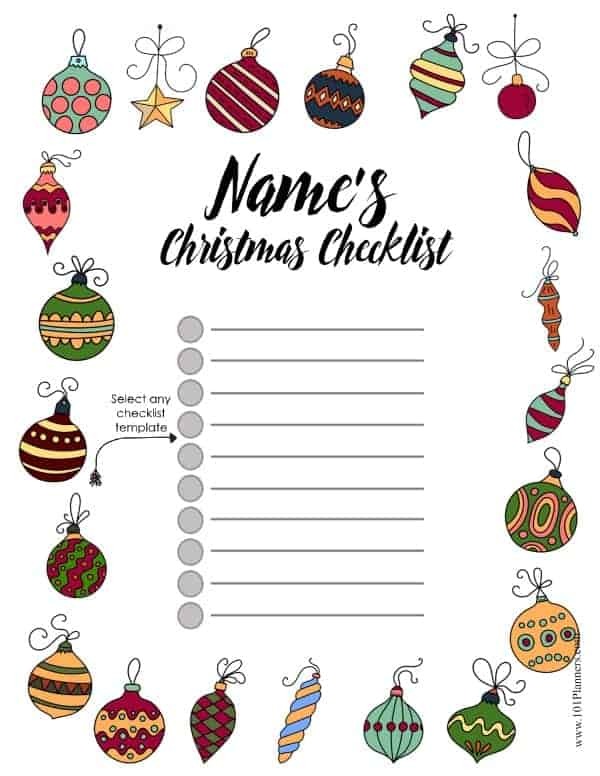 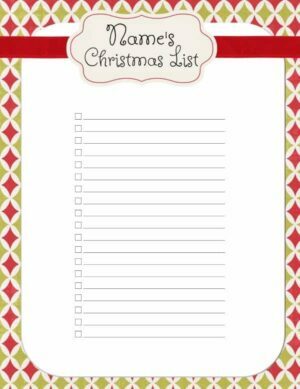 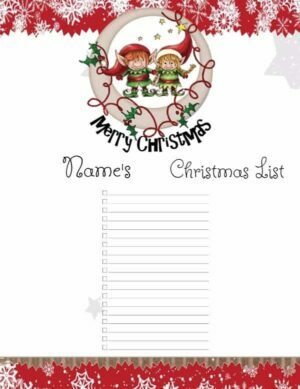 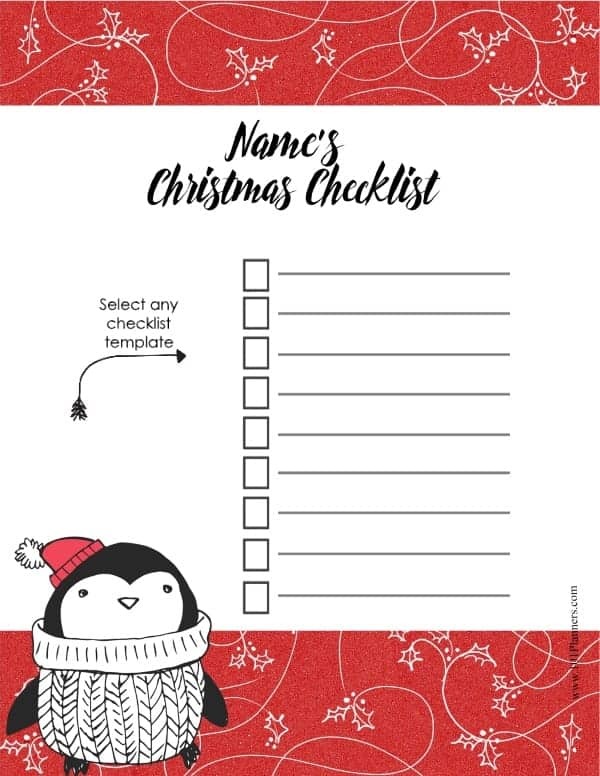 You can select the free printable Christmas list template that you want to use. 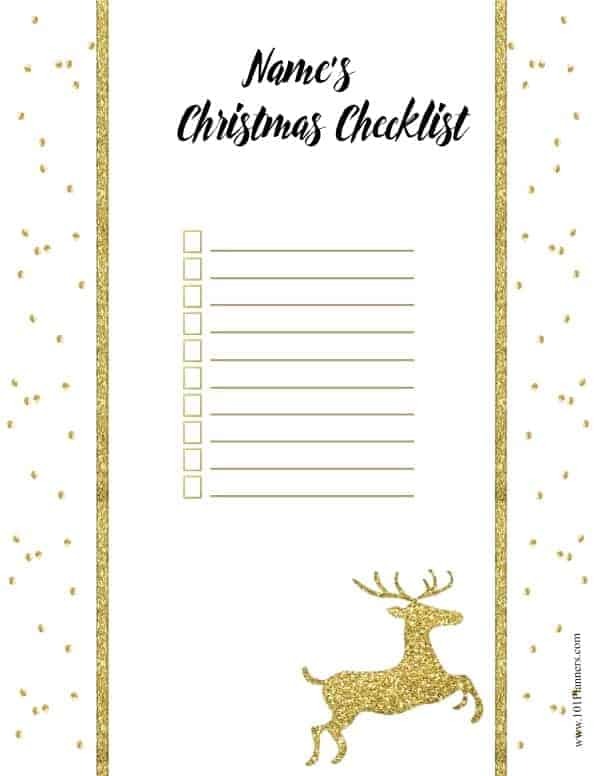 There are various options available and they are all free. 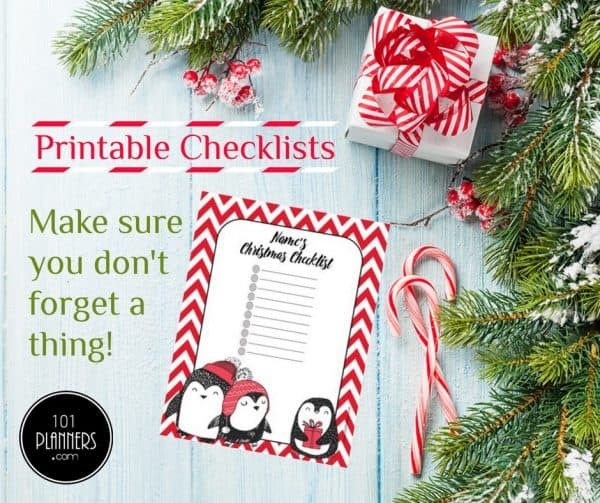 You can either type your Christmas list before you print or print a Christmas list template and fill in the list afterward. 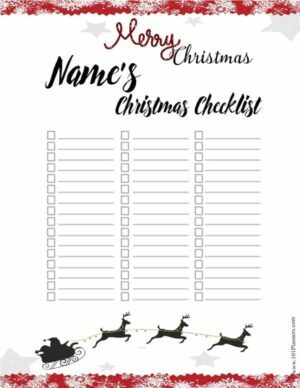 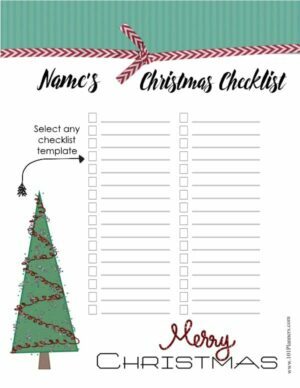 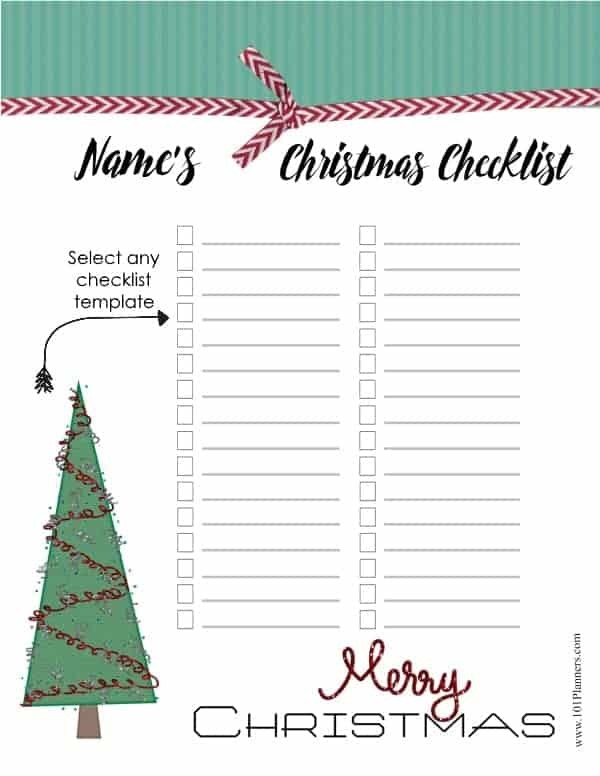 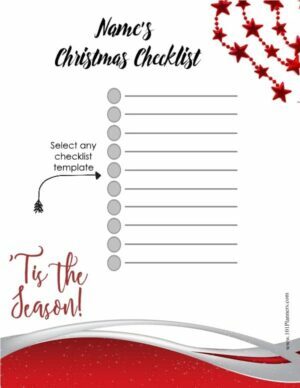 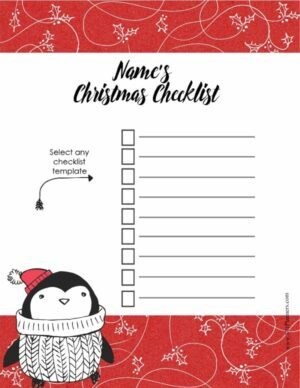 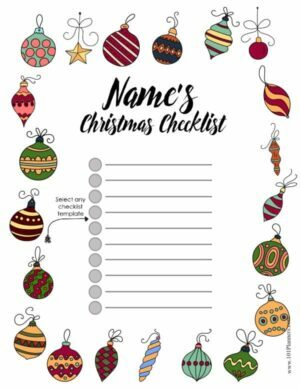 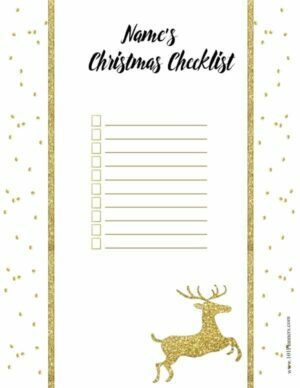 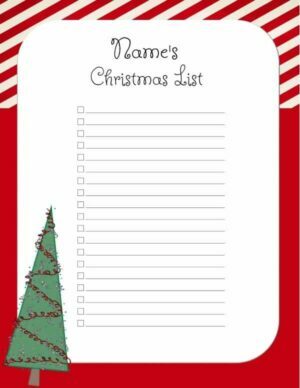 The title can be edited so you can use these templates to create various lists such as: Christmas songs list, wish list, carols list, etc. What can these templates be used for? 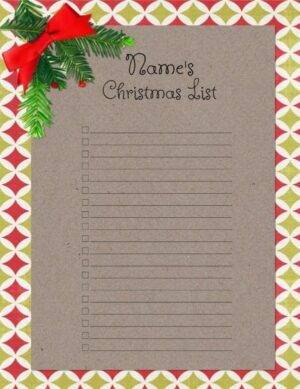 How do you use the Christmas list maker if you want to type the list? 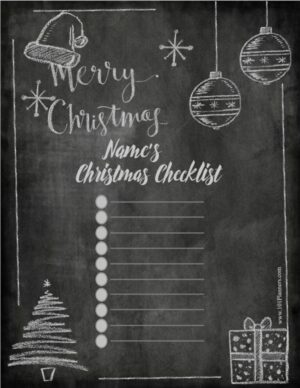 Click on the A button to type text. 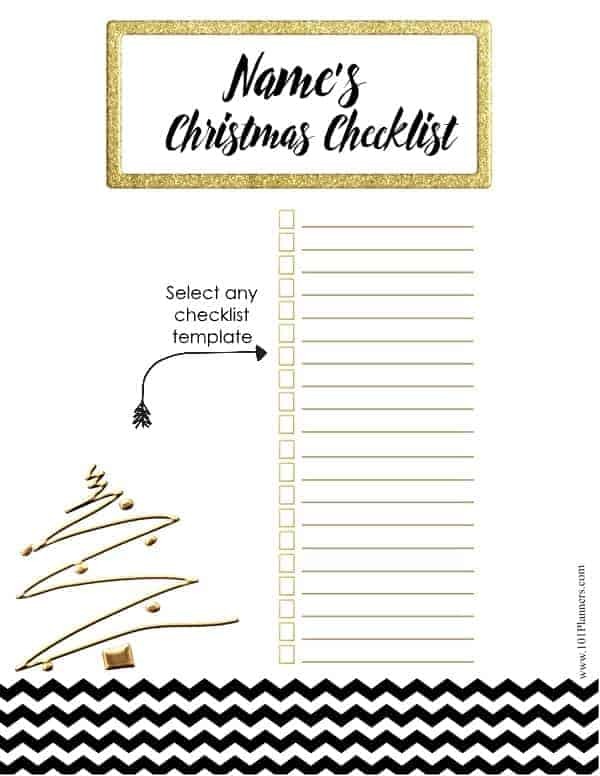 Move the text on to the line. 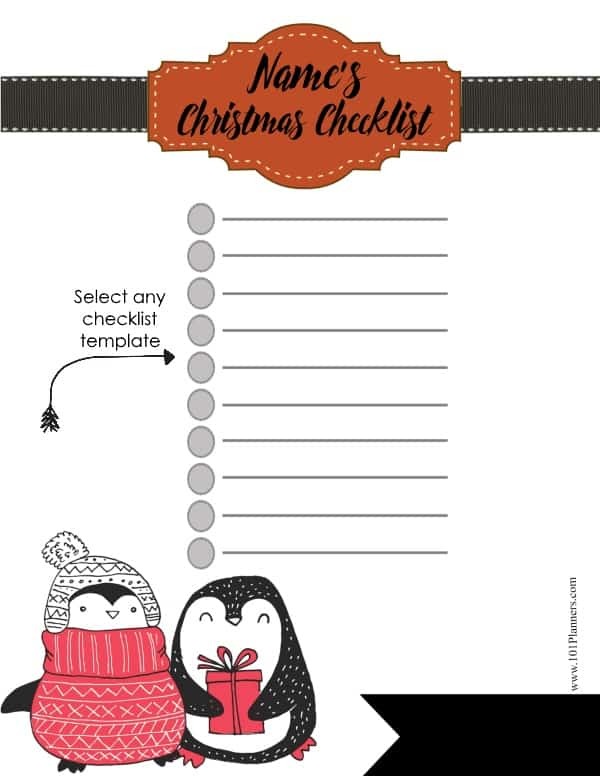 If you want to change the number of lines see the instructions below. How to change the number of lines or the checklist template? 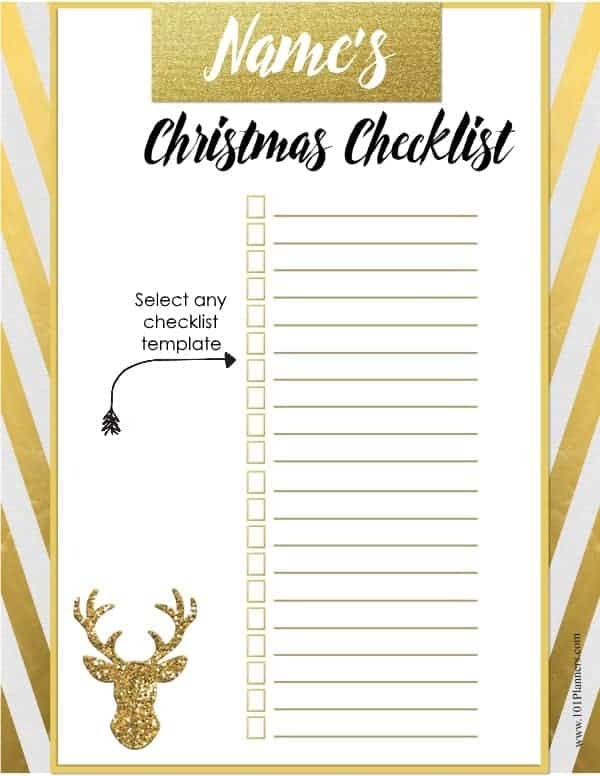 Click on the checklist template. 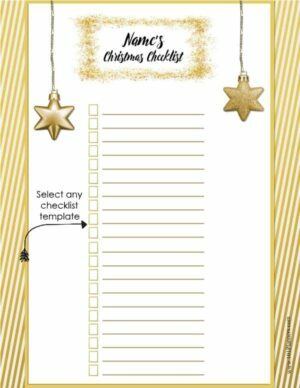 Click on “click here to change” (above the template). 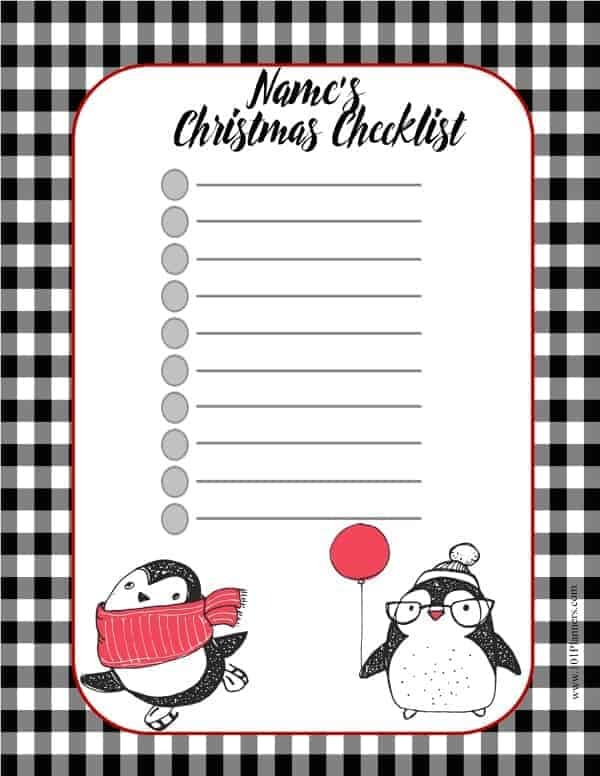 Select the list template that you want to use. 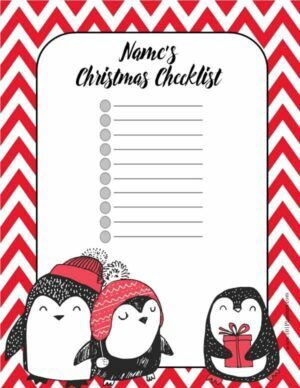 Change the title to whatever you want to appear as a title. 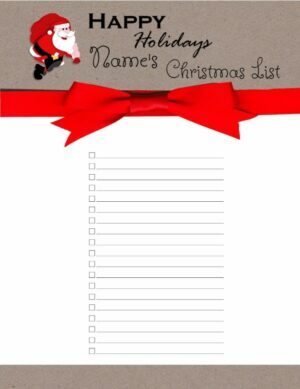 Type the gifts that you are hoping to receive. Click on the A button to add text. You can also print the wish list template and fill it in.